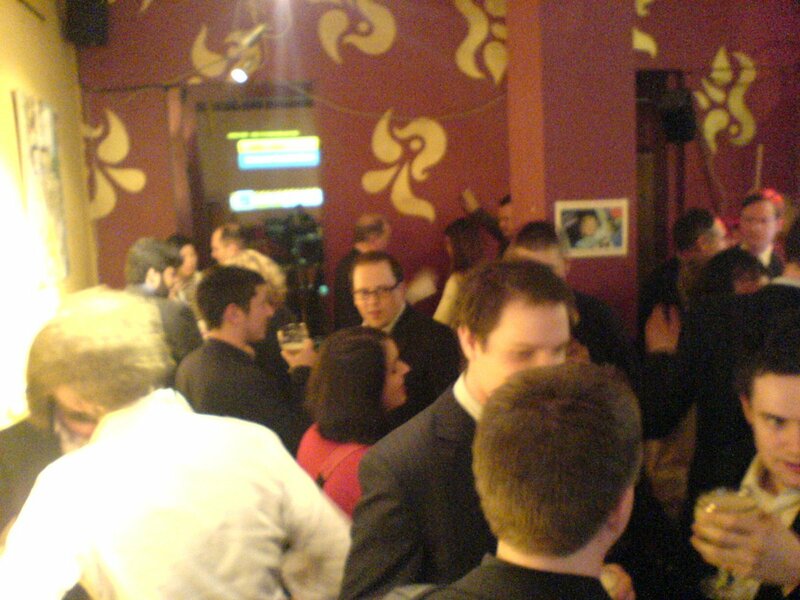 There are rumors that people don’t go to the 3GSM for business reasons, but for the parties. Obviously it is not the case with me, but I have to say that I had a chance to join a couple of nice ones. Here are a couple of pictures I took during Swedish Beers. Special thanks to Helen A.K.A. Technokitten for arranging the evening. More pictures from the Swedish Beers party are available on Flickr, in the Swedish Beers group. I feel in one of those movies from the seventies or even better in a cartoon where you see someone entering in a room, someone else is running after him, enters the same room and at the same time you see the first person to exit from another room and so on. I got to meet a lot of interesting people. Make a lot of networking. Met people from Italy. We are really everywhere! They say Spanish is the most commonly spoken language and English is probably going to pass it soon, but Italians are everywhere! The mood is good. 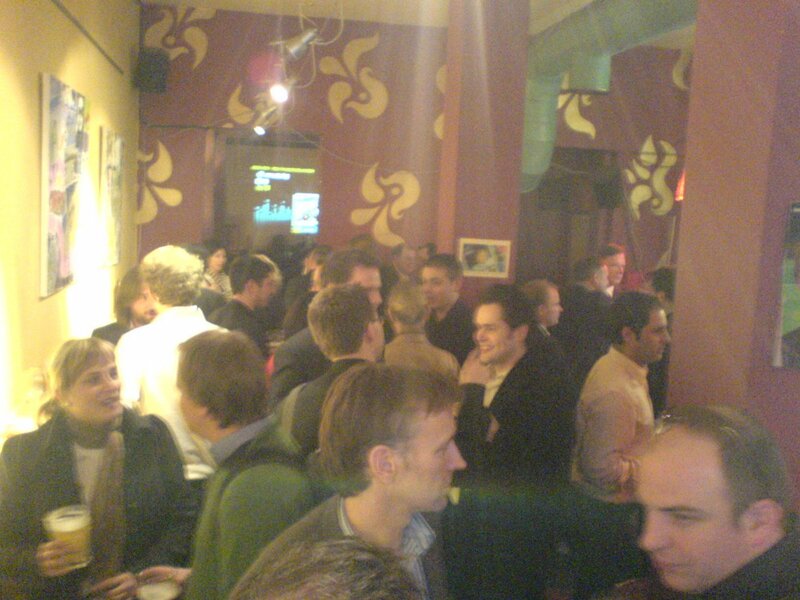 Lots of technologists, mobile people and big companies. Tomorrow is 3GSM first day! In October I posted about the very first Quarterly Web Briefing by M:Metrics. I am now glad to report the announcement of the first Quarterly Web Briefing of 2007. The topic is going to be the upcoming 3GSM World Congress, what to expect, where is the market going. Joining the web briefing is free, all you need to do is register. Join us!